WASHINGTON, DC -- Relations between Moscow and Kiev have been unexpectedly rocky in recent years. However, as Russia entered its latest election cycle, the Kremlin’s attention drifted away from Ukraine. While there was little doubt that Vladimir Putin would return to power, the president-to-be had to contend with the sudden awakening of parts of the Russian electorate. Now that he has been returned to office for the next six years, the question is how much time he will have for Ukraine. For months Ukraine neither figured as an issue in Russian electoral debates, nor did the Kremlin aggressively pursue its plans for Kiev to join a Customs Union along with Belarus and Kazakhstan. However, Moscow kept Kiev close, playing a cat-and-mouse game of engaging in negotiations, but refusing any concessions, particularly on gas prices. Russia also threatened serious sanctions for Ukraine should Kiev sign the Association Agreement (AA) with the European Union (EU) and even started a new trade war by imposing a ban on Ukrainian cheese imports. Knowing the Kremlin’s history and tactics, these measures were designed to end in little more than friendly spats. Now that he is firmly back in the Kremlin, elites in Kiev have little doubt that Putin will shift his attention to Ukraine. Their only uncertainty is how quickly this shift will take place and how forceful Moscow will be in pursuing its demands. Putin needs Kiev’s support for his Customs and Eurasian Union projects. Control of Ukraine’s gas transit system (GTS), with its storage facilities and the access it would provide to Ukraine’s consumer energy markets, is also top on Moscow’s list of priorities. Equally, a number of Russian industries would dearly like to gain control of key areas of the Ukrainian economy, especially in the aviation, communications, and agricultural sectors. In the strategically vital Black Sea region, Moscow would like to bring to an end a long-lasting dispute with Kiev over the status of the Kerch Strait, which connects the Black Sea with the Sea of Azov, as well as receive permission for the upgrade of its Black Sea Fleet in Crimea, which is currently banned by the Ukrainian constitution. Ukraine’s opposition and some members of the public are beginning to question President Yanukovych’s ability to resist Russian pressure to acquiesce to these demands. The Kharkiv Accord concluded between Yanukovych and then Russian president Dmitri Medvedev in April 2010, which extended Russia’s lease on its Black Sea Fleet base in Crimea for twenty-five years in return for a small discount on the price of Russian gas, was shrouded in secrecy. Ukraine’s opposition will therefore be very wary of any potential deals Yanukovych may try to strike with Moscow. The current administration, however, is seemingly unwilling to cede to Moscow’s demands and is even rumored to be close to asking for the opposition’s support should Russia be too persistent. Independent experts and politicians from both the ruling party and the opposition in Ukraine have no doubt that Russia, especially Putin’s Russia, will not stop “engaging” Ukraine. Optimists would like to believe that Putin will still be busy dealing with domestic issues for another half a year. This would allow Ukraine to recuperate and protect itself from Moscow’s demands. 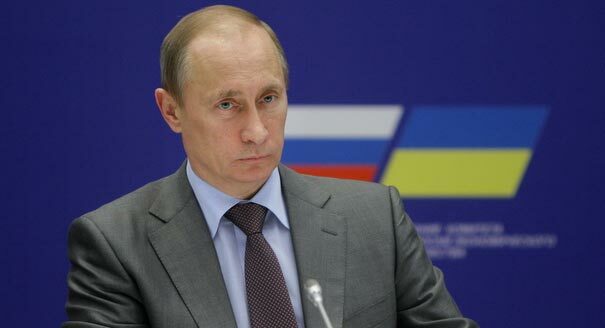 Pessimists, however, suggest that president Putin will start his march on Ukraine in a month or so. This campaign, they believe, will be brutal and fought on all fronts. Today's Ukraine has neither leverage over, nor safeguards from Russia. Yanukovych cannot count on any support from the West in his dealings with Moscow. His domestic debacles have led to a virtual freeze in relations with the EU. The AA, earlier seen as a safeguard against Moscow’s Customs Union, may no longer be an option for Kiev. Some in the EU privately suggest that they would not mind a Ukrainian realignment toward the east, as this would at least result in more stability and predictability. Membership in the Customs Union as well as Russia’s management of Ukraine’s GTS could provide that. There are more questions and uncertainties than answers about the future of Russia-Ukraine relations. It is too early to say whether Ukraine’s optimists or pessimists will be vindicated. Nor is the sequence of Putin’s actions yet clear: Will he take a step-by-step approach or will he pursue all of his agendas immediately? What is clear, though, is that Putin has no need to be precipitous—if he sits back and waits, Kiev will ultimately deliver him what he needs. Ukraine’s elite — both those in power and the opposition — is afraid of Moscow’s march on Ukraine. However, they are either not looking for solutions, or looking for them in the wrong places. Their talk that further integration with the EU is the only viable direction for Ukraine is only talk. Their fear of Russia is not strong enough to push them to stop just “talking the talk” and start “walking the walk” toward the EU. If Putin chooses to ignore Ukraine for the next few months, local elites will relax and focus on more pressing issues, such as the October 2012 parliamentary elections. However, if he finds “quality time” for Ukraine, there is no guarantee that Yanukovych will be able to resist the pressure from the Kremlin, or that the Ukrainian opposition will be strong enough to block rapprochement with Moscow.